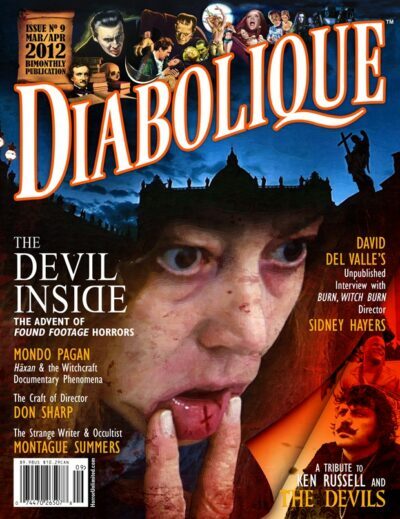 Diabolique Magazine embraces childhood horrors! Olivia Saperstein talks to Jennifer Lynch about her new film and the influence her famous father had on her as an artist. David Calbert interviews Eli Roth about his gory new “Haunted House” in Las Vegas. 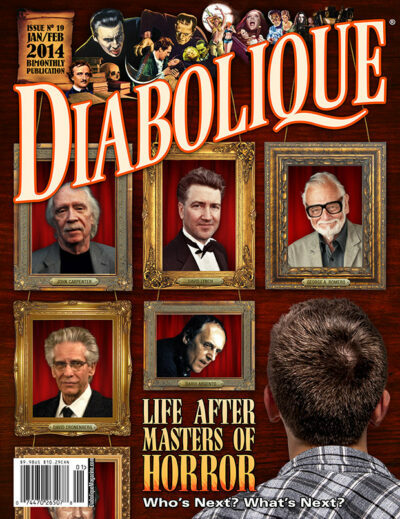 Brandon Kosters traces the roots of some of our most famous haunted attractions. Kyle Kouri gives us a brief history of everyone’s favorite holiday. Brandon Kosters on the Batman’s resurgence as a figurehead for macabre social critique. Scott Feinblatt sits down with members of Tim Burton’s production team to discuss the making of Frankenweenie (2012). Tony Earnshaw interviews Sara Karloff about her father’s incredible career and legacy. Scott Feinblatt talks to the founder of the Old Trout Puppet Workshop as they celebrate grotesque imagery while imparting profound messages in a neglected art form. David Calbert discusses the motif of the “dark forest” in children’s literature. David Huckvale’s reflections on Gothic ballets devoted to macabre narratives.